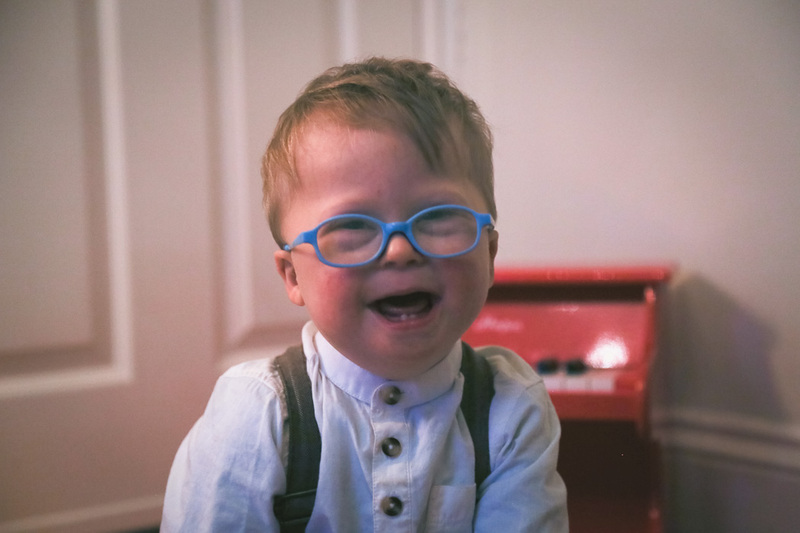 If someone had told me five years ago that I would be told I had cancer at 26 years old, just over a year after finding out our firstborn son’s surprise diagnosis of Down Syndrome at his birth, I would have dismissed it as a cruel joke. What are the odds? At 26 years old, with no family history, with a little boy who (despite how amazing he is) has extra challenges and needs me to be there for him? There’s no way. It’s too much. If someone had then told me that I would find out it was a rare, aggressive and fast-growing type of breast cancer (a particularly aggressive, recurrent strain of triple negative, the hardest to treat conventionally) with only a 10% survival rate, I would have been left in a state of disbelief. Especially if they told me that the doctors would then say, after two surgeries and then finding a third lump in my lymph nodes within nine months, that they did not recommend having surgery again since it would just keep coming back. Or that eventually the doctors would say there was little else they could offer that would help my chances of survival. That conventional therapies like chemo and radiation would most likely have no effect on it whatsoever and would be palliative (have a small chance of helping extend my life), not curative. The oncologist told me back in August 2016 that by the time of my next scan in three months time, it would have spread throughout my body to all my major organs. That I would most likely have no hope of survival once this happened. 26 years old. No hope of survival. The words themselves seemed impossible. If I had been told that instead of accepting this grim prognosis, I would find after doing much research and reading that there are thousands of first-hand accounts of people turning around even a terminal cancer diagnosis through a radical change of diet and lifestyle, natural supplements and alternative treatments, I would have been skeptical and cynical. In fact, at the beginning, I was. If this is true, that there are other options, why do we never hear about them from our doctors? As I did more reading and research into it all, I found that there are other options that doctors either haven’t been taught about or dismiss because there haven’t been widespread (expensive) scientific studies proving beyond a doubt that treating cancer naturally actually works. Even though Hippocrates, regarded as the father of medicine, famously quoted ‘let food be thy medicine and medicine be thy food’, this kind of thinking is now usually dismissed and ridiculed. In my case, I decided to try it and threw myself into it, changing my eating habits radically to a whole-foods, plant-based diet and doing a host of different natural and alternative therapies. What did I have to lose? Up until recently, 18 months after my oncologist said it should have spread throughout my body, the cancer had miraculously still not spread anywhere else. It remained localized and contained to one area in my lymph nodes under my arm. AND, after starting to take high doses of a powerful liquid mineral supplement at the beginning of the year, the lump started to actually shrink! MIRACLE. This is our story of how the impossible can actually happen. More than putting our hope in surgeries or food and supplements to save me (although I’m sure they helped a huge amount), I believe this is because we put our hope in a God who specializes in making the impossible happen. We’ve had prayers flowing in from around the world that I know our God has heard. We believe this is the God who wants to see every person on earth healed, whole, set free and living life in abundance, until it overflows. The God who will stop at nothing for his children. The God who makes it possible to still live a life of joy and fullness despite our outward conditions. The God who gave up everything, became human through his son, came down to his creation and went through unspeakable torture, pain and death so that we can have health, wholeness and life to the full. The God whose son’s name we only have to whisper to be rescued and made new. The God who has carried us through this and every other hard battle we’ve had to face, the one who has somehow managed to turn the most impossible of circumstances around for good. Every single time. And we are so thankful. However. This journey is not over yet. Although the lump started to come away, it came to a standstill and has become a large open wound, causing intense pain and multiple bandage changes a day. I have been having constant pain of about 7 out of 10, with intense periods of pain that is 10+ – at times even worse pain than I remember having in childbirth. My left arm has become swollen, painful and unusable with symptoms of lymphedema, which is common after the type of surgery I had. I have had little to no energy and can’t move my arm without causing the pain to be even more intense, which means no housework, no lifting our son, no cooking, no diaper changing or doing the millions of other things it means to be a mother. When we first arrived I was spending a huge amount of time every week in the prayer and worship room here which made a big difference, but for the last few months haven’t been able to play piano or go up as regularly because of being pretty much glued to the bed or couch. We recently celebrated our beautiful son Levy’s FOURTH birthday (how is that possible?? ), who is doing so well despite it all. He recently started at a mainstream school here that he miraculously got into (another impossible story I’ll share later), and is thriving and absolutely loving it there. He has a beautiful little girlfriend already (this boy!! Little heart throb) and friends who rush up to hug him as soon as he gets there. 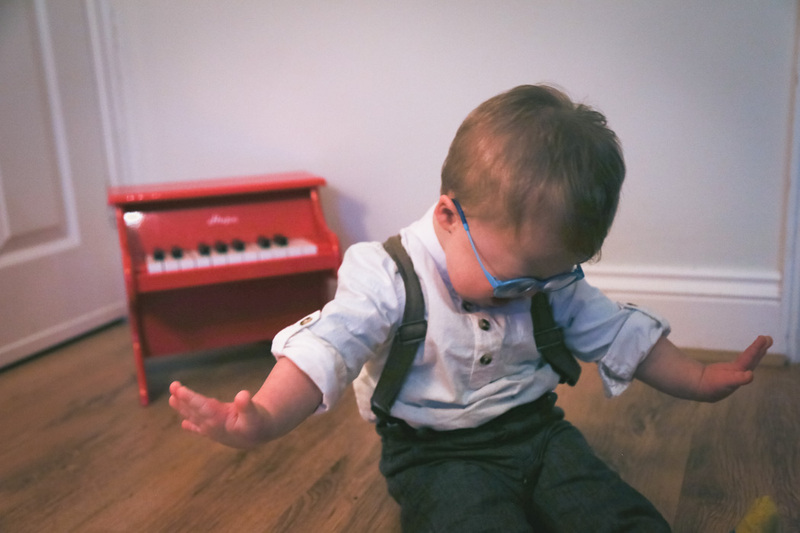 He’s walking on his own more and more, still singing songs constantly at the top of his lungs and can now count to twenty in English and to ten in both Hebrew and Arabic! We couldn’t be prouder of him. The hard part was having to celebrate his birthday at home, opening his presents on the couch because of not being able to do much else. We did make it to the aquarium one day (which we thought he would love. He was not impressed), but I would have loved to do so much more to celebrate him. On top of everything else, having these pains and symptoms has also meant little to no social life or having people over, no going out to show visiting friends and family the sites and no traveling, even to other parts of the country to see friends or get away (all things I love to do). I’ve barely seen anyone since being back and haven’t been sleeping or able to leave the house much because of the pain. Although we have had had a huge amount of help from our incredibly supportive families and friends, it means my husband William has had to become the working father, house husband, household chef, primary caregiver and tour guide for visiting friends and family. We’re so thankful for all the help we’ve had. Despite it all, we became exhausted. Because of the intensity of the pain and the swelling keeping me from sleeping or functioning, we decided to go to the hospital here to see what could be done. About a million tests and scans and long days spent in the hospital later, we found out the results…and they were not what we were hoping for. The latest CT scan showed that the cancer has started to spread throughout the lymphatic system. They also found a small mass on my spine, making it stage 4 metastatic cancer. It was still a miracle that it hadn’t spread any further or to any organs. And though this diagnosis usually means it would be terminal, the hospital here still gave us hope. They told us about a new medical treatment called immunotherapy, which works by supercharging the immune system to recognize and fight against the cancer itself and has seen incredible results. After finding out more about the potential of this new treatment, we decided to look into cancer clinics that specialize in immunotherapy. We found one such clinic near San Diego, called the Immunity Therapy Center. It uses cutting edge medical technology and treatments, combined with holistic, non-toxic, intensive natural therapies. Most people who go there are stage 4 and, judging from all the independent reviews on Google of it that are overwhelmingly positive and 5 star, have had incredible results. Most report a huge improvement within a few weeks of treatment, with some testimonials (including ones with stage 4 or triple negative breast cancer) saying that within two weeks, the lumps disappeared and they actually left the clinic cancer free. Since it’s so far away, it’s been a big decision to make. After a lot of prayer, research, talking it through and confirmations, we all felt a peace that this was the most promising option for me to take. As soon as we got in contact, everything started miraculously falling into place for me to fly over and start treatment right away. Within three days from making the decision to come I was on the plane (!!) with my mother, who came with me to support me so that William could stay home with Levy. We had the easiest, most stress-free travel experience I think I’ve ever had to get here. I just finished my first day of treatments here and already felt a difference, feeling a lot more energy. We set up a Go Fund Me page that has unbelievably raised the entire initial amount for the treatments in three days! We have been blown away, humbled and so grateful for all the support that has come in from all over the world. Although the initial goal has incredibly been reached, we’ve decided to raise it since there are additional costs coming up from having to see specialist doctors and take medications/supplements that aren’t included in the treatments. They have also strongly suggested having some treatments or procedures outside the clinic that would incur additional costs, along with all the other costs of living with this condition. There is a chance as well that I may need to stay longer than the initial three weeks depending on how I respond to treatments. We are so thankful for everyone who’s given already, and would appreciate beyond words anything else that could be given – every dollar donated and link shared on social media helps us a huge amount. As hard as it’s been, we know we will see this impossible situation turned around for good. We’ve seen the miraculous happen too many times before for us not to believe it will happen again. I believe that soon, we will be celebrating a miracle that seems inconceivable from a medical perspective. Until then, as hard as it is right now, we will keep believing that the impossible can, in fact, happen. This is what fuels our hope and gives us the strength to carry on in the face of the hardest of circumstances. God has brought us through this far and we know he will finish what he has started. We know it’s only a matter of time. Three years ago, our world was turned on its head – in what turned out to be the best way imaginable. 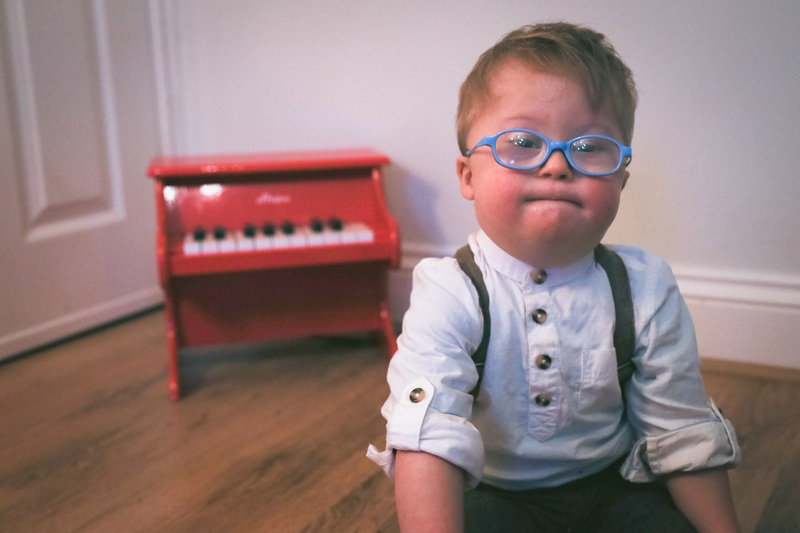 After our beautiful son’s birth, we found ourselves suddenly faced with an unexpected diagnosis of Down Syndrome. In that one moment, our lives changed course completely. Being honest, I found the idea of this life – a life that was so far removed from the idea of the ‘perfect’ life that I had always dreamed of – difficult to accept at the beginning. This image of perfection – the idea of the ‘perfect’ life, career, home and family – is so ingrained in most of us from childhood that it makes it hard to take when life inevitably doesn’t measure up. I had always planned out in my mind what my perfect life would look like, strongly influenced by media and western culture. Then this boy came into our world, took my idea of ‘perfect’ and smashed it into pieces — remolding it into a different, better kind of perfect than I could have ever imagined. I’m so thankful for this champion of a son and am so grateful we get to call him ours. He has made the last three years the best three years of our lives, despite all the hardships we’ve had to face and how different it has been to the life I always imagined. As a young girl, I would lull myself to sleep by planning out my dream life. In my fantasy future I would travel the world helping people and making a difference as a photojournalist. I’d live a nomad life of going from one adventure to the next, before finally settling down into married life. We would have four kids (two of our own, two adopted – one little Vietnamese girl and a little boy from somewhere in Africa). We would live in a glamourous, exciting place (most likely Jerusalem, where I grew up) where we could soak up the sun for 9 months of the year, making music and changing the world together. Instead, I ended up getting married halfway through my Uni degree, having a son with a surprise diagnosis of Down Syndrome three years later, and living in rural southwest England for eight years where it probably rains nine months of the year. At least. And – just to top it all off – I was then told at the age of 26 that a lump I had assumed was a clogged milk duct was actually an aggressive form of breast cancer. Not exactly what I imagined as a young girl. Yet – and I can say this in all honesty – my life is beautiful. Although I’m still very much in the middle of my journey of conquering cancer, I’ve recently found a new appreciation for this life I’ve been given and how good it is. It’s messy, it’s hard, it’s nothing like the ‘perfect’ life and family I thought it would be. But I’ve realised that it is absolutely, 100% perfect – just a different kind of perfect to what I expected. And, after eight years of living in the UK and finally accepting that we may never move back to my heart home of Jerusalem because of practical and financial reasons, it suddenly, unexpectedly all fell into place for us to move back! Just a few weeks ago we packed our house and our lives into six suitcases and finally came home. Seemingly impossible dreams can still happen. Getting married and having our son were two of the best decisions I ever made, and if I could go back I would make the same decisions all over again. I honestly have loved my life until now – as different as it is from what I had imagined. I am so thankful for having the family, friends, community and homes I have had, both in the UK and in Jerusalem (along with our wider family & friends across the globe). And I am beyond thankful for our son. He, and others like him, are so different to what the world calls perfect. From the time we’re given Barbie and Ken dolls as children, up through adolescence and our entire adult lives, we’re constantly being sold this image of perfection. An image that is – by the way – totally unattainable and unrealistic; according to this article, if a woman were to have the same body measurements as her favourite childhood Barbie doll, she would most likely be unable to menstruate and have to walk on all fours because of her wildly unrealistic body proportions. The other role models young girls have to look up to are the other extreme. Skeletal, androgynous, stick-thin models dominate every shop window, magazine and runway now. Yet, from a young age, one extreme or the other is what etches itself on our subconscious minds of what the ideal woman is – the ideal that most women strive to be and that most men feel like they need to end up with. As we grow older, the image of perfection spreads to having to have the perfect life, the perfect career, the perfect home and the perfect family. This social pressure comes at us from every source imaginable: television, films, magazines, music, shop windows, billboards – not to mention, of course, the relentless barrage of social media. Pinterest, Facebook and Instagram have become some of the biggest propagators of this social pressure to fit in and measure up to this image of the ‘ideal’ life. Being honest, how often do we look at the impeccably designed homes and Instagram-filtered lives of others and feel, deep-down, like we could never measure up to what we’re constantly told our lives need to look like? In our work or creative lives, how many times does the need for perfection stand in the way of creating? They say an artist’s work is never finished – that no matter how long is spent working on a project, it could always be better. There comes a time when releasing any work, that we have to consciously take a step back, switch off the perfectionist part of our brains and say ‘this is enough.’ Why is it, then, so hard to do the same for ourselves – to take that step back and know that we are enough? Many times we don’t even realize we’re buying into the lie. We spend our income, our time and our lives trying to fit in to this impossible image – and when we fail, which we inevitably do, it costs us. We desperately don’t want to be different, so we do everything we can to at least still present a façade of perfection. Even if our lives are falling to pieces under the surface, at least if things still look good and the same as everyone else on our Instagram feed, then maybe we can still feel some small measure of success. But imagine for a minute a world where everyone was the same, where everyone did fit into this image. A world where there were no differences. Where everyone acted the same, spoke the same, looked the same. Where we all lived in our comfortable bubbles and there was never anyone or anything that would make us feel uncomfortable. Where there was never anyone or anything that would stretch our minds beyond ourselves. Or that would challenge us and our perceptions, our stigmas, and our stereotypes that we put on others, whether consciously or subconsciously. Or that would ever cause us to leave our comfort zones. Imagine a world where every single person has somehow managed to shape themselves (at least on the surface) into this mold that the world has decided is the ‘perfect’ way to look, the ‘perfect’ way to act, the ‘perfect’ life to lead. Where our identity and self-worth is defined by how well we fit into this mold we’re constantly being sold. A world where anyone who is different and who doesn’t fit in this mold is sidelined and marginalised. A world where we are pressured to silence we are pressured to silence those who won’t necessarily “fit in” before they’re even given a chance to live. It sounds intense, I know. But this is the world I believe we’re heading towards if something doesn’t change. And yet I believe the opposite is also true: we have the power to safeguard the diversity and perfect imperfection that makes our world so beautiful. To embrace and be authentic and vulnerable about our beautiful, messy, imperfect lives. To be a voice for those who are different and who may not have a voice for themselves (at least not one that the average person on the street would take the time to listen to). To give dignity and self-respect to those who are too often sidelined and marginalised. To bring to light the value of those who may be different but who have so much to contribute and teach us, if only they were given the chance. 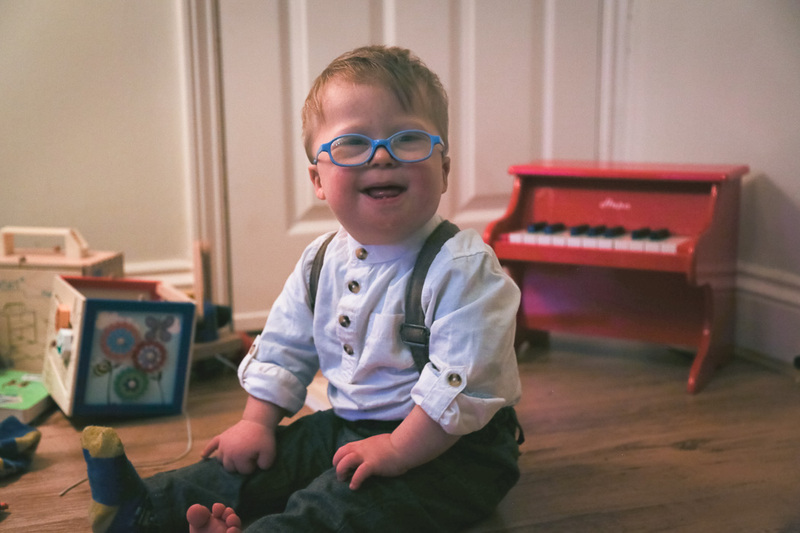 October is Down Syndrome Awareness month, where we have been celebrating those, like our son, who rock the extra chromosome they were born with and bring a beautiful diversity and joy to our world. This month we have been celebrating our son. He has taught us to love deeper and fiercer and freer than we ever loved before. He loves to do whatever he can to make us laugh and stop and enjoy life every single day – even the days when it all feels too much and too hard. He finds the smallest things like a cough or sneeze the funniest thing ever, and will get to the point of finding it hard to breathe because of laughing so hard and long if he so much as hears someone blowing their nose. He sings at the top of his lungs, constantly. His favorite songs range from Swing Low, Sweet Chariot and You are my Sunshine to worship songs like King of my Heart and Catch the Wind (first thing he asks for every morning now), to Happy by Pharrell Williams and So Fresh, So Clean by Outkast (old-school, I know). He’s now decided he wants to be called Levy (from his nickname Calevi that we’ve called him at home since birth) since it’s easier for him to say (although if it were up to him it would be Levy-O – but we had to draw the line somewhere!). He has a gift of knowing exactly what to do when it feels like our world is falling apart that seems to make everything better. And he knows how to make each person he gets to know feel like the most extravagantly loved person in the world. Before we moved back to Israel, Levy had started going to preschool (!! ), a mainstream school with a forest school ethos that he absolutely loved and thrived in. We weren’t sure at first if he would cope with all the children and noise and new environment of a mainstream school. I also had a fear in the back of my mind that he wouldn’t be able to make friends like other children – that other children might look down on him, exclude him or even bully him because of his differences. Yet he has proven our fears to be needless again and again. 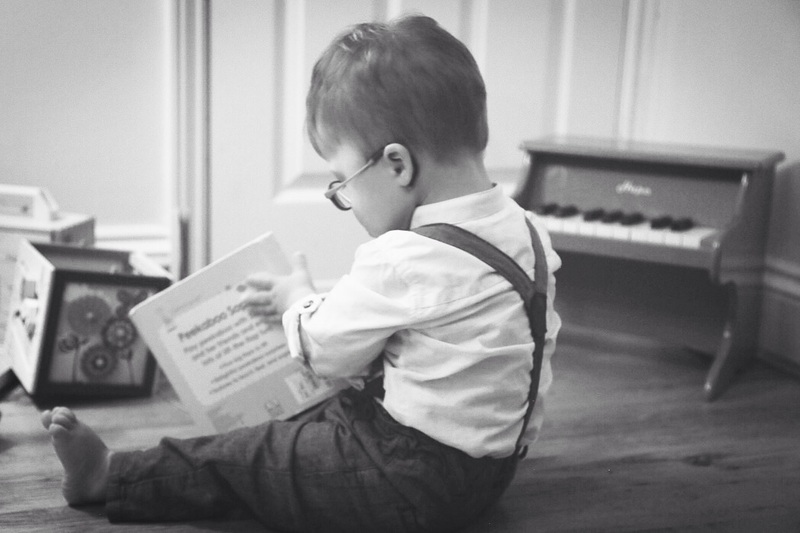 He couldn’t wait to go to school every day. He joined in and was included in everything they did (since it’s a Forest School that means even learning to build fires and survival skills! ), and had a crowd of little friends who loved him and would run to play with him as soon as he arrived. 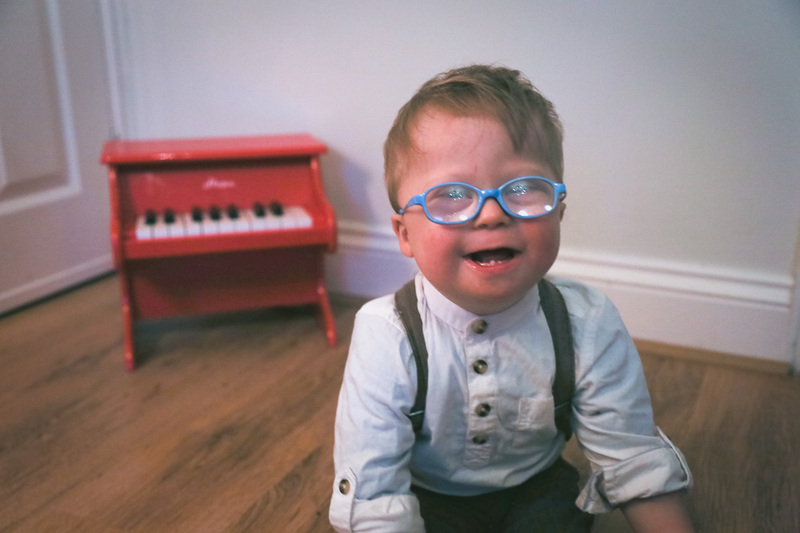 We’re hoping to find a similar school for him here, where he is already thriving and loving being with all his cousins who live down the road (eight, to be exact – all from one sister! I know.). His cousins can’t get enough of him and fight over who gets to play with him or sit next to him. They sing songs together and love showing him off to all their friends, who equally love him and love playing with him. We have been blown away by how much our little boy is loved and how much joy he brings to everyone he meets. Of course there have been some extra challenges that have come as part of the package. 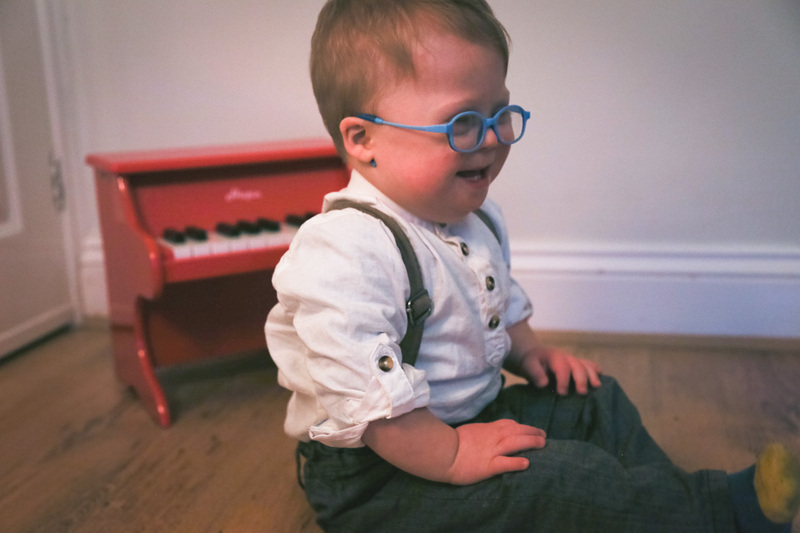 Although his speaking (and singing skills) is above average for children with Down Syndrome his age, he still wasn’t walking by three and a half years old. For over two years, our time was filled with waiting, physiotherapy, exercises and frustration. Until one day, my husband Will came through the door from work. Levy dropped everything, yelled ‘Daddy!’ and speed crawled over to his father’s waiting arms as he did every day. This time, though, was different. A few steps away from where Will was waiting for him, he suddenly stood up on his own and walked three steps to get to him! Will looked up, shocked, to where I was standing at the kitchen counter with my hands over my open mouth, tears quickly filling my eyes. Because as hard as it is to wait for him to reach milestones that children less than half his age find easy, it makes it all the more beautiful when it does finally happen. I never felt my heart achingly filled to bursting with pride and joy more than in that moment. When it finally happened, he did it completely by himself, with no cajoling or striving on our part. We just had to wait for him to be ready on his own terms (like with everything else it seems – he takes the term ‘strong-willed child’ to another level), and learn to enjoy each season for as long as it lasts (even when it seems like a lifetime). Although with some things it takes him longer than with others, he consistently continues to break out of every box we subconsciously put him in. And he continues to teach us the value of living each day to the full, enjoying each season, and embracing life in all its messy, glorious imperfection. So here’s to those people, like our son, who may not “fit in” to that perfect image but who can often teach us, if we let them, what it is to live life fearlessly and to the full. Who teach us that the best kind of life we can live is one where we celebrate the messy, the hard, the imperfect. Who teach us that it is, in fact, possible to have a perfect life. It may just be a different kind of perfect. And that is more than enough. Deja vu – but worse. So, so much worse. That’s the only way I can think of to describe what we’ve been through this last month. A month ago, on January 14th, 2016, I went to the hospital and was told a shock diagnosis. I was told my body was fighting an aggressive form of breast cancer. I’m 26. I have absolutely no family history of it. And yet they told me the diagnosis was a grade III, stage 3(c) triple negative invasive ductal carcinoma which, according to the doctors, will require surgery and possibly more. Unbelievable. Unthinkable. It still doesn’t feel real. It feels like a dream that I’m going to wake up from any minute. Even when I talk about it, it feels like I’m talking about someone else. Distant. Far, far out of reach. And yet over the last month, with the never ending tests, ultrasounds, biopsies, mammograms and consultations with surgeons and oncologists, it’s become agonizingly real. Too real. I thought I knew the extremes of emotions a human can feel. It turns out I didn’t know the least of it. 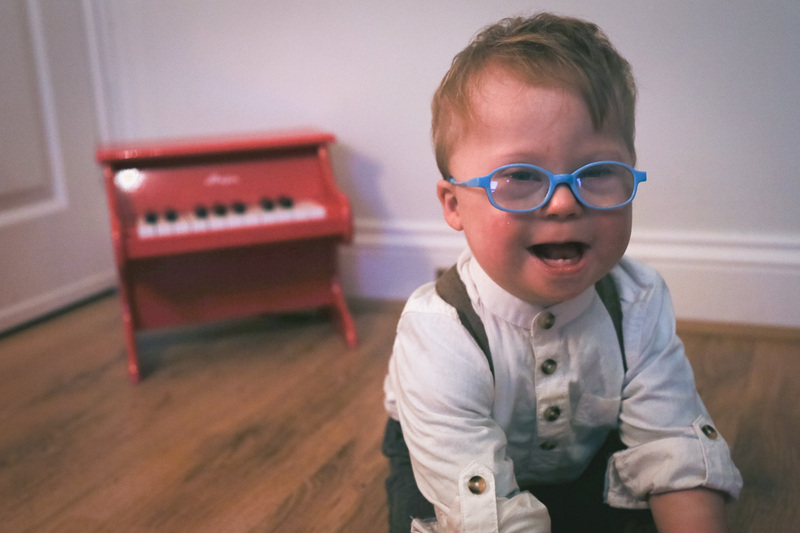 It’s the same feelings all over again that we felt when we first heard our 21-month old son’s diagnosis of Down Syndrome – shock, disbelief, anger, denial, despair, fear of the unknown and of the future. The same feeling of being blindsided and hit by a monster truck with no warning. Times those feelings by ten thousand, and it comes close to what we’ve been hit with this last month. The first two weeks were the hardest. I was exhausted emotionally, physically and spiritually. But somehow after the initial onslaught of emotions being ravaged and getting so angry my husband had to stop me from punching through the car window; after all the tears had been spent and questions of why had been thrashed out; after it felt there was nothing but emptiness left inside me, somehow, this inexplicable peace started slowly filling the void inside. It was as if I could feel heaven’s tears and I knew – I was not alone in this. I would get through this. The last few weeks I’ve felt closest to Heaven that I’ve ever been in my life. I’ve felt a deep peace and joy that make absolutely no sense, given the circumstances. The important things in life have become more real and clear to me than ever before, and all the unimportant things have faded into the background. My faith in God and personal experience of him as a kind, good father has been what I’ve clung on to; it has given me strength when I felt I had none left. It has carried me through these last few weeks and become more real than this tempest that has been raging around me. It feels as though I’ve been taken above the dark clouds to a place where I can somehow, unbelievably be at rest and have hope – despite the circumstances surrounding me. I know that this is not the will of God. Though I believe He is all powerful, I have been searching it out the last few weeks and I also believe that His desire for us to have free will and love Him freely is more important to Him than the ability to exercise power and to control and micro-manage our lives. We live in a broken world where terrible things happen as a result of this. This does not mean that He makes these things happen. I believe it grieves Him when things like this happen more than anything we could feel in our finite human emotions. I have felt Him closer than ever before in the last few weeks, and I know that His will is for me to be healed from this. I don’t know what that will look like. It could be an instant supernatural miracle (which is what we’re hoping and praying for), or it could be through doctors, treatment or other ways. I’ve been learning there is no formula; there’s no way to predict what He will do. As C.S. Lewis wrote in the Chronicles of Narnia: “He’s wild, you know. Not like a tame lion.” But this I know – He has a plan for me, to prosper me and give me hope for my future; whatever that may look like. Something my sister said to me that she heard from a teaching by Danny Silk has helped me through this time – that instead of having specific expectations of what will happen, we need to live in a state of constant expectancy. We don’t know what will happen, but we do know the promises that we’ve been given. And we can know that these promises will happen somehow. This is the rock I’ve been clinging on to. We know that though it seems like there’s a fierce army at our backs and a sea of unknown ahead of us, He will split this sea so that we can walk through it. We have had so much support these last few weeks. We’ve been surrounded by incredible family and friends throughout this whole time that we feel so, so thankful for. So many people have been supporting us, praying for us, believing with us for a miracle and offering to help in practical ways. We appreciate all of you more than we can say. All of this has helped us get through the difficult time we’ve been going through. What’s helped us the most though, after our faith, is our son. 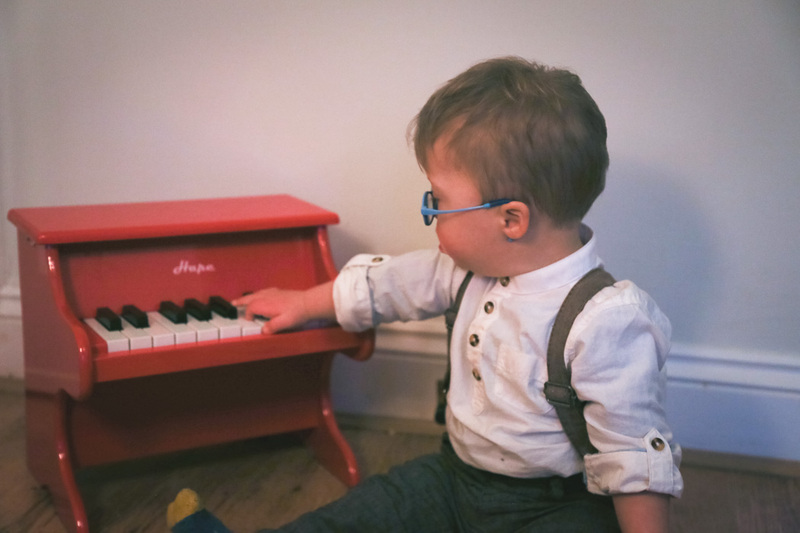 This boy, so full of life and joy and personality, has been the furthest thing away from being a burden or added difficulty as most would think having a small child with Down Syndrome and additional needs would be during this time. He has been the opposite – he’s been a bringer of joy and a reminder of the good things in life. No matter how low I feel; no matter how weighed down I may be feeling, I can’t help but laugh when I’m with him. He is constantly laughing, doing his party tricks of animal noises and raspberry-blowing, doing whatever he can to make people laugh – his favourite thing to do in life it seems. His latest thing is taking your head in his hands, holding your cheeks and putting his face as close to yours as possible, and doing what we call an ‘old man laugh’ – not letting go or even letting you turn your head away until he gets you laughing back. He seems to have this uncanny ability to read people’s emotions and know exactly what they need in that moment – whether that’s to make you laugh when you’re down or reach up to give you the tightest hug he can when you need it the most. I am so thankful for this boy. I know he will help us through whatever this next chapter of our lives may be. I don’t know what the future will look like. But I do know that we can trust that even this, like so many other storms we’ve been through in the past, will somehow be turned around for our good. I am thankful for having family and friends around us, supporting us and being there for us. I know I’ll get through this – and that I won’t be alone in it. I’m continuing to live in expectancy. And I know that though it feels like we’re walking an impossible road with walls of water on either side and though it feels like this night will never end, we will come through it and the light will come. It’s just a matter of time. 18 months ago yesterday our son came into the world and turned our lives upside down for good. 18 months! How has that happened? It seems like it was only a few weeks ago that we were coming home from the hospital with ours heads spinning from the newness of it all. A lot has happened in the inexcusably long time since I’ve last posted on this blog. 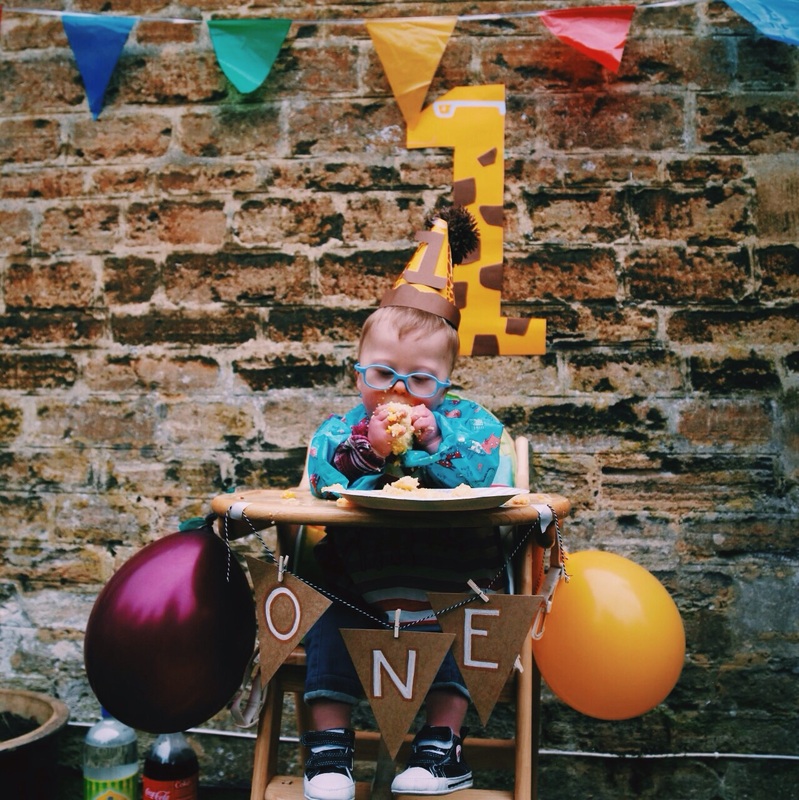 Our little man turned one in April with a party themed after his favourite toy, Mr Raffa the Giraffa (post of the party and his first birthday coming soon). Ten days later Caleb and I then flew solo to Israel for three weeks for a family reunion for my mother’s surprise 60th birthday party and the wedding of dear friends of ours, Yosef & Kristi (a stunningly beautiful Scottish/Israeli wedding in the Judean hills overlooking Jerusalem). Will wasn’t able to come for all of it because of not being able to get time off work, although he was able to fly over for four days for the wedding. He then needed to fly back before us so flying solo with Caleb again on the way back it was! We then came back to the news that our rental home we were living in had been sold by our landlords while we were gone, and that we needed to find a new place to live in the next few weeks. A few weeks of frenzied house hunting followed, along with some soul searching about where we should live and put roots down for the next few years. While we’ve loved living in England the last 6 (nearly 7!) years and in Frome for the last year and a half of those, our hearts still see Jerusalem as home and we would love to move back someday. We did push on some doors to see if that could happen visa-wise but it didn’t work out, so we know that now is not the time. Someday, but for now our home is here and we’ve been loving this community-filled, creative, boho market town we’ve been living in and the people in it. We thought through some options but soon realised that this does feel like the place we’re meant to be in now, and seems to be the perfect place to begin raising our family. So, we decided to take the inheritance we had recently been given by Will’s grandmother and put it on a deposit for a house! Hard to believe we’re now home owners, still feels like we’re kids playing house. We bought a house that we’re currently in the process of redecorating and changing to suit us, and we’re loving having a place of our own that’s warm and perfect to raise a family in. After finally deciding to stay and put some roots down, we decided to go hunting for a church closer to us as logistically going to Bath every week was proving more difficult than we thought. 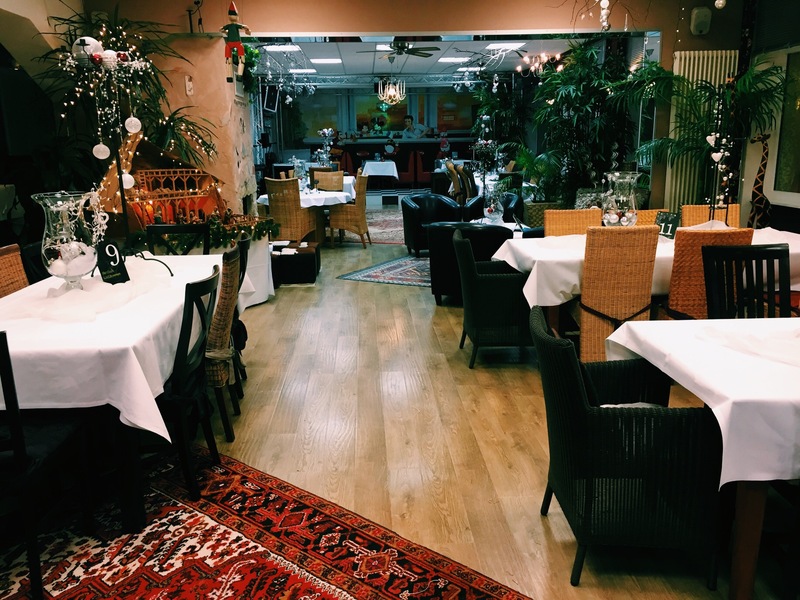 We soon found an amazing one in nearby Trowbridge that we’re loving being a part of. Full of life, down to earth, very real with no pretentiousness, filled with genuine people who welcomed us with open arms (especially Caleb!) and oriented towards families. Win. Will and I also both got new jobs during this time – me as the photographer for the big Frome Independent Market that happens once a month and is an event that people come from all over the country for (including celebrities – my first one I was working at I accidentally got a photo of Russell Brand doing some casual shopping!) and Will retraining in the finance department of the company he was working before at as a management consultant. His new job means more normal hours, no more 70 hour work weeks and much more time to spend with the family at home. I never see Caleb more excited now than when Will walks through the door when he gets home from work. They’ve become best buds and Caleb is definitely a daddy’s boy now. Will now has time to take Caleb to the park a few mornings a week before work and spend an hour playing with Caleb when he gets home. He also now does bath time, story time and bed time and their bond has grown so much stronger because of it. We moved into our new house in the summer, followed by a week of non-stop unpacking and decorating to make the place liveable before my family all came to visit. My sister, brother-in-law and their 8 (!!!) children all arrived a week from the day we moved in and stayed for two beautiful, hectic, fun-filled, harrowing at times and gloriously mad two weeks. The time they were here included a trip to the accident and emergency room for my three-year-old niece who had a cup of hot tea spilled over her, who then had to be rushed in an ambulance to Bristol to a special burns unit as it looked like she had over 12% of her body covered in severe burns. Thankfully by the time they got to Bristol the redness had gone down and they said only 2% of her body had been affected and that the burns weren’t as severe as originally thought. She was discharged that night and we went ahead to Devon to stay at Will’s family’s house the next day as planned. Two days later, she came down with a high fever and went back to Bristol, where they said she had contracted Toxic Shock Syndrome (common in young children with the type of burns she had) and needed a blood plasma transfusion and to be on an antibiotic IV drip for 4 days. Needless to say, this was a terrible time for all of us and we prayed non-stop for her recovery during that time. My sister stayed with her in the hospital, which meant that my brother-in-law, Will and I had the other 8 children to look after. Will thankfully had taken a few days off work, but soon had to go back, leaving my brother-in-law and I to hold the fort with Caleb and seven of his cousins, ranging from 12 years old to a few weeks younger than Caleb. My respect for my sister shot through the roof during this time, seeing how she lives every day looking after 8 children – all with big, outgoing personalities and constantly full of energy! Despite all this, we had an amazing time together. A week later when my niece had been discharged, nurses came to check on her burns and were amazed at how quickly her burns were healing – they said that they were healing twice as fast as they would have expected and she was soon back to herself. We then all went camping at a worship festival called David’s Tent and had the most incredible, restful much-needed time being together as family along with our closest friends. After another week spent with them partly in Devon and partly in our new house when we had a beautiful time being able to relax and enjoy being together, they flew out – and m y parents arrived the next day! They stayed for a week and we had a great time together, but it was non-stop for a long, long time. All this to say – with moving house, new jobs, new church, meeting new friends and catching up with old ones and seeing family our lives have been a little busy! I’ve also started volunteering for our local branch of the NCT parenting charity and am writing an article for their magazine which I’ll soon post on here about how to cope when things don’t go to plan. 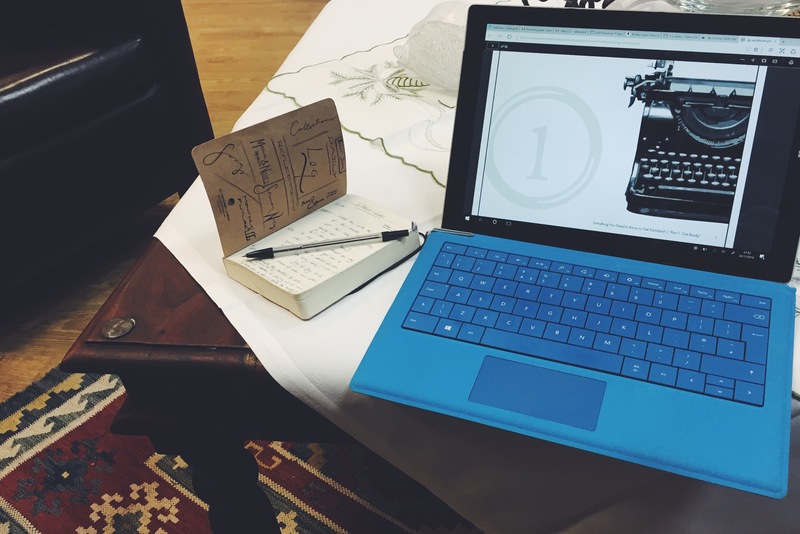 Not to use all of that as an excuse, but writing on the blog kept getting pushed back until now. Now we’re finally feeling more settled in to our new home and new lives, I’m hoping to start updating this blog more regularly. The main reason I wanted to write another post today was to celebrate our little man and the impact he’s had on our lives and many, many others. On the day where everywhere you look, all things to do with death is being celebrated, I thought it would be fitting to celebrate the life of our world changer. Today is also the last day of Down Syndrome Awareness Month. As Down Syndrome is the condition caused by an extra 21st chromosome and is also known as Trisomy 21, I did a challenge to post a photo or video every day for the last 21 days of October to share some of the messy, beautiful reality of what it is to live life with someone who has that extra chromosome. What I’ve learned from doing it is how many people Caleb is impacting just through being the awesome little rock star that he naturally is. I’ve realised again how much more alike than different he is, and how the differences that he does have are what make him beautifully unique and individual. The last few months have had difficult times as well as the joy-filled ones. There have been times when all I have been able to focus on are how behind he is on his walking, standing and crawling. Times when I’ve taken him to the park or play groups and see how every other child his age is walking, running and climbing while he happily sits and stays where he is. Times when it feels when I’m walking down the street that every person we pass stares and wonders about our child, when all I can feel are the stares and the (perhaps imagined, perhaps not) judgments of people we see. But then there are other times (most days, to be honest) that we walk down the street and everyone we pass seems to melt when they see him. Many times the faces of people who were walking down the street scowling or in their own world change when they see our boy smiling and waving at everyone he sees. Their faces light up and they smile back, troubles seemingly forgotten. There are times when he seems to make strangers’ days by smiling and waving the way he does with his entire body getting involved. Times when he seems to instinctively know who is having a bad day or is feeling down and impulsively launches himself into their arms, hugging them tightly and changing their mood and atmosphere of the room with his gorgeous smile and infectious laugh. He seems to have a gift for wholeheartedly loving people who need it most and unreservedly giving his affection to whoever he meets. And – he crawled for the first time yesterday, on his 18 month birthday! Reaching milestones seem all the sweeter when you’ve been fighting for them as long as he has. We couldn’t be more proud of him. I have learned so much from our boy. He has made our lives over the last 18 months so much richer and fuller than they ever were before he turned our world upside down. It’s funny how the unplanned for and unexpected can so often be so much better than our original plans for our lives are. I’ve found this with our boy – he is not what we expected or planned for. But he has made our lives more full and rich than they ever would have been if our lives had gone as we had originally planned. Thank you, Caleb, for turning our lives inside out and making them so much fuller than they would have been if our lives had gone the way we originally planned them to. You are changing the world for the better just by being who you are. Never change who you are – the world needs more people like you. Thank you for bringing us the ocean. To see the photos from the 21 day challenge and more of Caleb since I’ve decided to keep posting as much as possible, you can follow me here on Instagram.